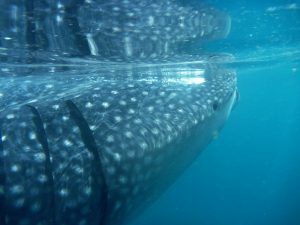 New: snorkeling with Whale Sharks, Cancun, Mexico. Swim and snorkel with the largest fish in the sea. Photograph Whale sharks from 15 to 40 feet in length. 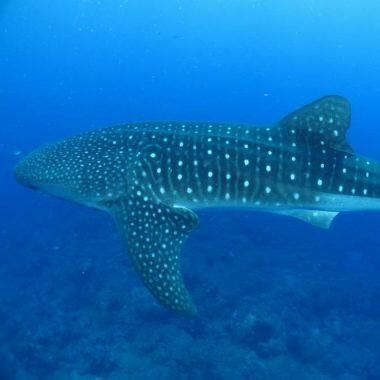 During summer months, the Mexican Caribbean is one of the prime gathering spots for Whale sharks. The sharks feed on plankton, floating at the surface. Call for details. All trips are private and custom. Cost: $1950 for a private VIP experience, including lunch, for up to 10 participants. Note: Multiple boats are available, so groups of more than 10 are welcome. Call for a custom quote. Participant requirements: This is a swimming and snorkeling, family-friendly adventure. Participants should be in reasonably good health and comfortable in the water. Trip notes: You’ll see more than Whale sharks on this incredible adventure. Manta rays, dolphin and giant turtles also inhabit the waters around Cancun. Captain Nacho has a degree in marine biology and helped pioneer Whale shark diving in the area. 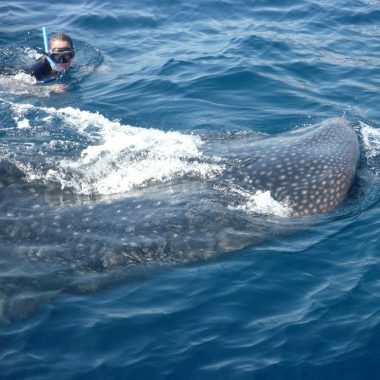 He’ll take you offshore aboard one of three vessels custom-built for Whale shark observation.